NCPaul wrote: I posted a recipe here that should be very good with liver sausage. 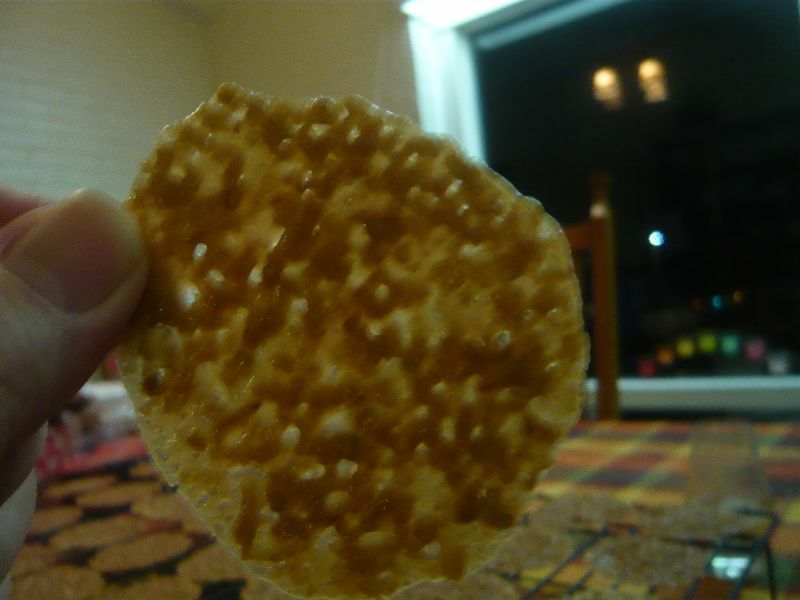 Several have found it easier to roll the crackers out then cut them. Maybe a bit of carmelized onion on top of the liver sausage? Or a sweet spicy chutney made with Sauternes and raisins. I had a very sucessful time this year with my cookies and sweets. It took quite a bit of recipe adaptation but I added Marshmallow, Turkish Delight, 3 different types of fudge, Nougat, and Honeycomb to my achieved list, and it was easy. After playing with sugar work, baskets, sugar glass, pig tails etc, which I found, after getting the knack of judging the readiness of the sugar, remarkably easy, I decided to attempt some sweets. 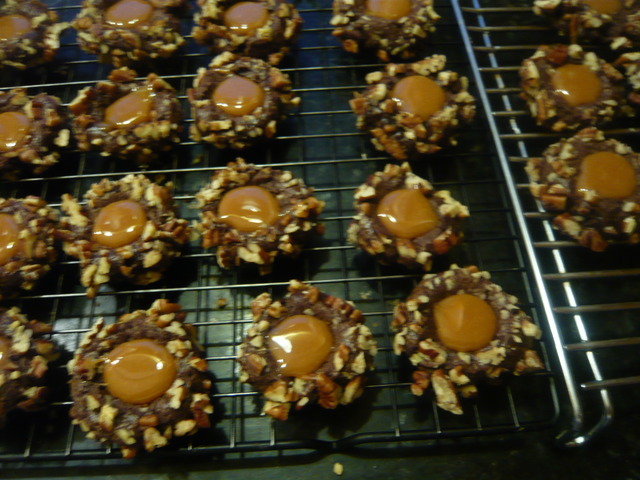 I was suprised how easy it was, and after adapting some recipes from the american web sites, the sweets were very popular with guests, their children, and of course myself, which at this point I must admit I have been on a sugar "high" for a few weeks. Dont think I have slept for ages. 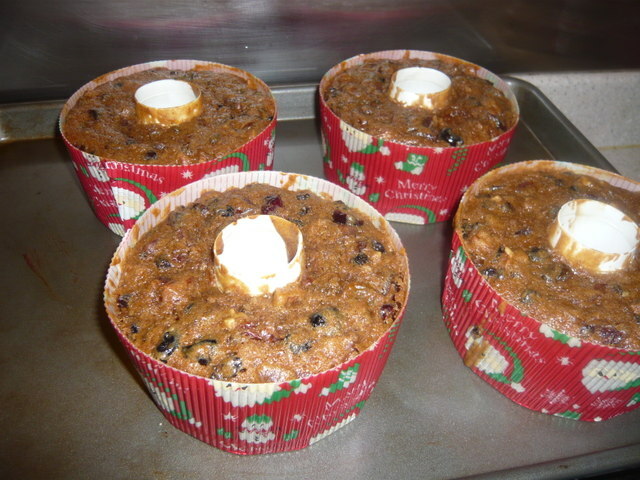 It uses dried fruit that is reconsituted with rum - yum. Worth it in this case. 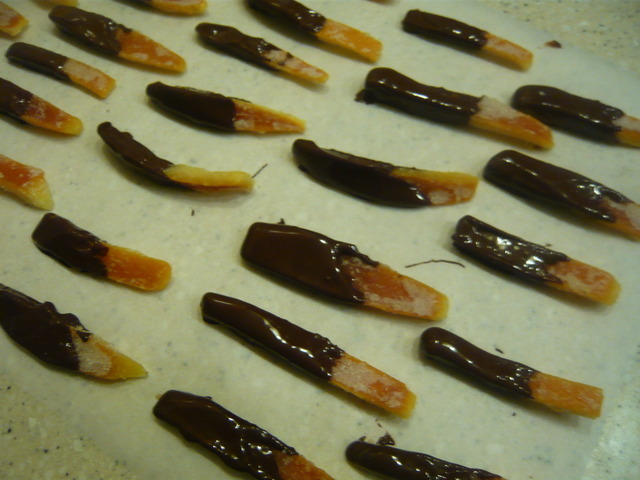 Dip in dark chocolate and you make a great treat from using just sugar, water, orange peels and chocolate. Superb post, I'd forgotten the previous one - I meant to try them. Thanks, I'll make sure that I try them this time. I think I'll be trying these "Christmas" cookies for Easter I hope I'll be able to refine my skills after attending my course. So many great ideas here to try out! Last edited by SweetCharly on Wed Mar 07, 2012 12:03 pm, edited 1 time in total. He's always fun to watch. Isn't he great - I could listen to him all day. My wife offered to re-type it but decided that it had a certain charm to it. Not only is it used to make cookies, but it looks like is has been actively involved. I sent a copy to my sister and she complained that it only had the ingredients and the oven temperature listed without any instructions. 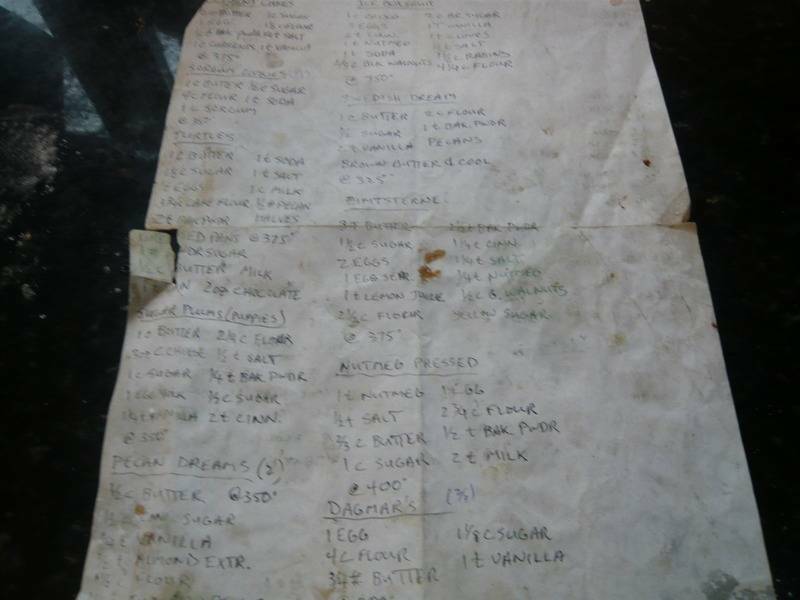 I told her to write under each recipe, "make usual way". 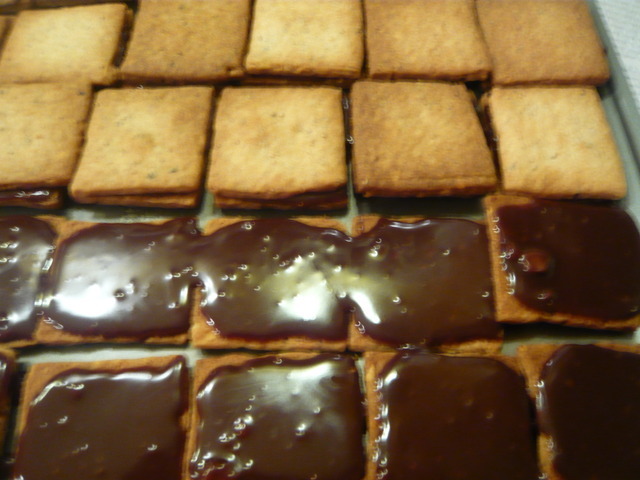 I made three sandwich cookies this year, which I am generally reluctant to do because it doubles the work. 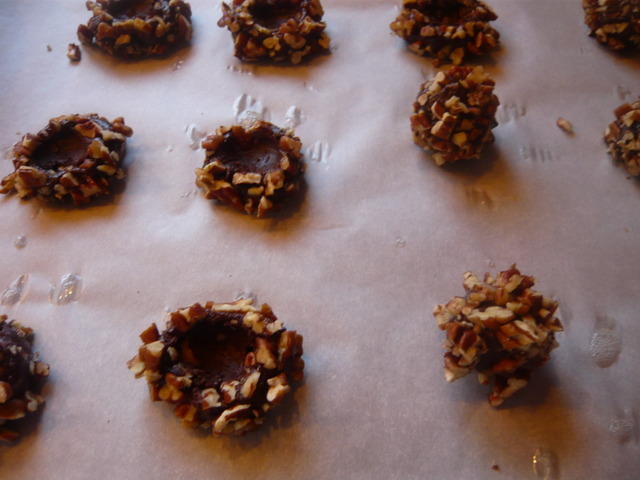 The first was Thomas Keller's "Better Nutters" from his Bouchon Bakery cookbook (ISBN 978-1-57965-435-1). The recipe can be easily found on the internet. 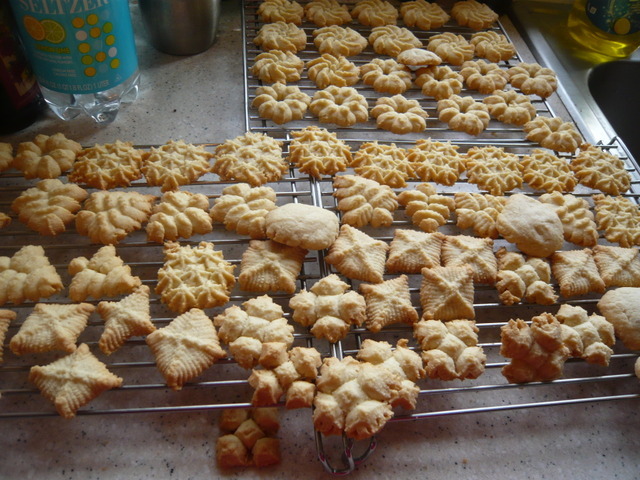 If you want to roll and cut the cookies, you will need to increase the flour from the amount he uses to make drop cookies (both versions are good). 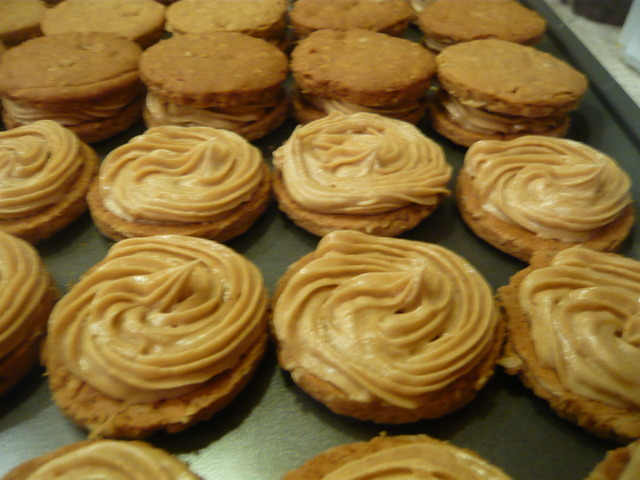 The filling is piped peanut butter and butter cream.